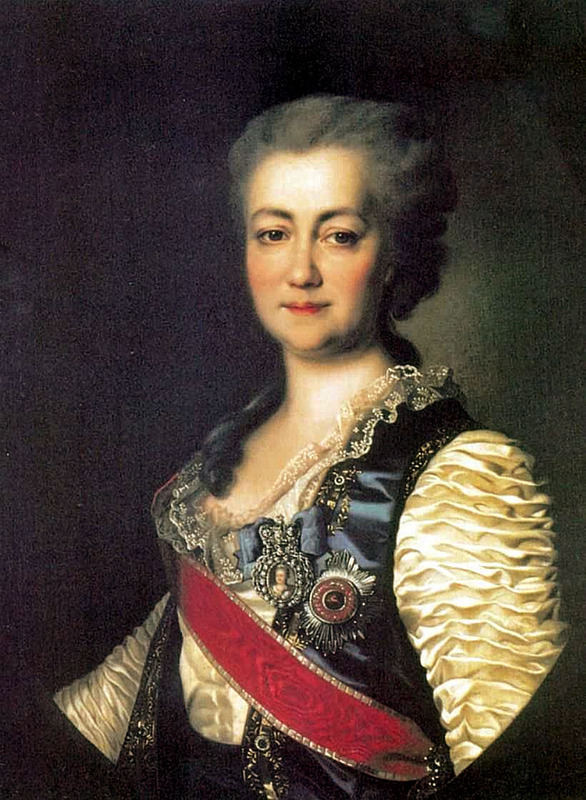 Yekaterina Alexeevna or Catherine II, also known as Catherine the Great (Russian: Екатерина II Великая, Yekaterina II Velikaya; 2 May 1729 – 17 November 1796), was the most renowned and the longest-ruling female leader of Russia, reigning from 9 July 1762 until her death in 1796 at the age of 67. Her reign was called Russia’s golden age. 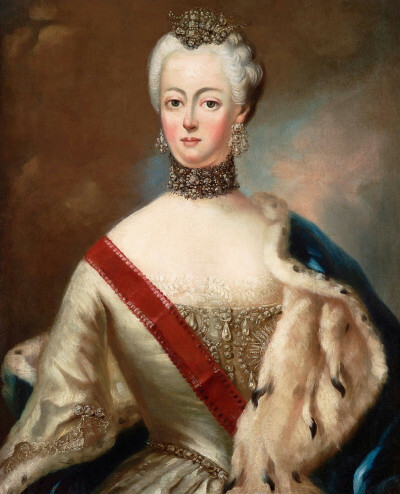 She was born in Stettin, Pomerania, Prussia as Sophie Friederike Auguste von Anhalt-Zerbst-Dornburg, and came to power following a coup d’état and the assassination of her husband, Peter III, at the end of the Seven Years’ War. Russia was revitalized under her reign, growing larger and stronger than ever and becoming recognized as one of the great powers of Europe. In both her accession to power and in rule of her empire, Catherine often relied on her noble favourites, most notably Grigory Orlov and Grigory Potemkin. Assisted by highly successful generals such as Pyotr Rumyantsev and Alexander Suvorov, and admirals such as Fyodor Ushakov, she governed at a time when the Russian Empire was expanding rapidly by conquest and diplomacy. In the south, the Crimean Khanate was crushed following victories over the Ottoman Empire in the Russo-Turkish wars, and Russia colonised the vast territories of Novorossiya along the coasts of the Black and Azov Seas. In the west, the Polish-Lithuanian Commonwealth, ruled by Catherine’s former lover, king Stanisław August Poniatowski, was eventually partitioned, with the Russian Empire gaining the largest share. In the east, Russia started to colonise Alaska, establishing Russian America. Catherine reformed the administration of Russian guberniyas, and many new cities and towns were founded on her orders. An admirer of Peter the Great, Catherine continued to modernise Russia along Western European lines. However, military conscription and economy continued to depend on serfdom, and the increasing demands of the state and private landowners led to increased levels of reliance on serfs. This was one of the chief reasons behind several rebellions, including the large-scale Pugachev’s Rebellion of cossacks and peasants. 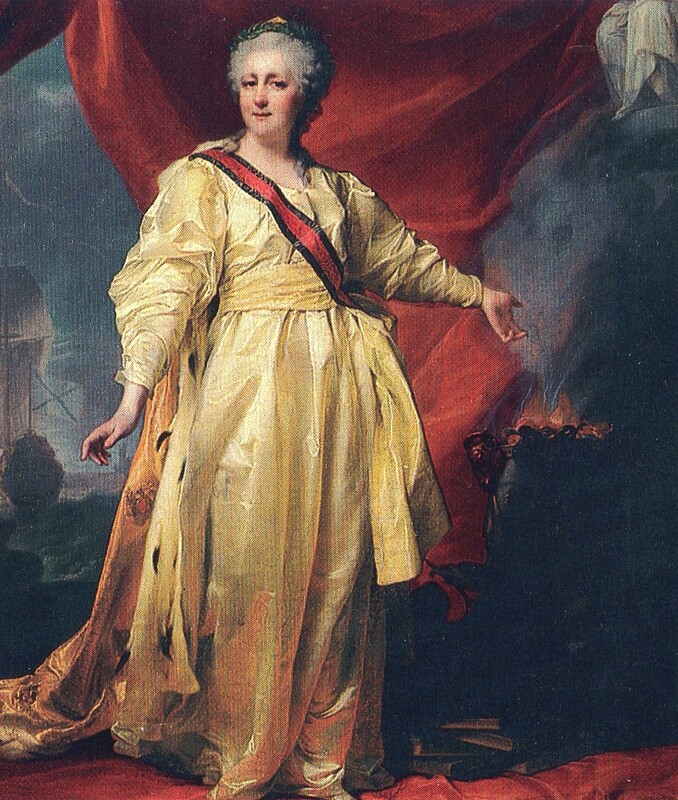 The period of Catherine the Great’s rule, the Catherinian Era, is often considered the Golden Age of the Russian Empire and the Russian nobility. The Manifesto on Freedom of the Nobility, issued during the short reign of Peter III and confirmed by Catherine, freed Russian nobles from compulsory military or state service. Construction of many mansions of the nobility, in the classical style endorsed by the Empress, changed the face of the country. A notable example of an enlightened despot, a correspondent of Voltaire and an amateur opera librettist, Catherine presided over the age of the Russian Enlightenment, when the Smolny Institute, the first state-financed higher education institution for women in Europe, was established. Though Catherine’s life and reign included remarkable personal successes, they ended with two failures. Her Swedish cousin (once removed), King Gustav IV Adolph, visited her in September 1796, the Empress’s intention being that her granddaughter Alexandra should become Queen of Sweden by marriage. A ball was given at the imperial court on 11 September, when the engagement was supposed to be announced. Gustav Adolph felt pressured to accept the fact that Alexandra would not be converting to Lutheranism, and though he was delighted by the young lady, he refused to appear at the ball and left for Stockholm. Catherine was so irritated at this, her health was affected. She recovered well enough to begin to plan a ceremony where a favourite grandson would supersede her difficult son on the throne, but she died of a stroke before the announcement could be made, just over two months after the engagement ball. On 16 November 1796, Catherine rose early in the morning and had her usual morning coffee, soon settling down to work on papers at her study. Her lady’s maid, Maria Perekusikhina, had asked the Empress if she had slept well, and Catherine reportedly replied she had not slept so well in a long time. Sometime after 9:00 that morning, Catherine went to her dressing room and collapsed from a stroke while on the toilet. Worried by Catherine’s absence, her attendant, Zakhar Zotov, opened the door and peered in. Catherine’s body was sprawled on the floor. 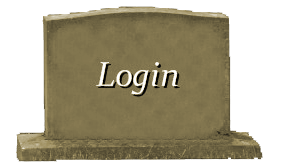 Her face appeared purplish, her pulse was weak, and her breathing was shallow and laboured. The servants lifted Catherine from the floor and brought her to the bedroom. Some 45 minutes later, the royal court’s Scottish physician, Dr. John Rogerson, arrived and determined that Catherine had suffered a stroke. 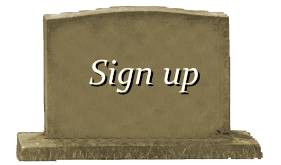 Despite all attempts to revive the Empress, she fell into a coma from which she never recovered. Catherine was given the last rites and died the following evening around 9:45. An autopsy performed on her body the next day confirmed the cause of death as stroke. Catherine’s undated will, discovered in early 1792 by her secretary Alexander Vasilievich Khrapovitsky among her papers, gave specific instructions should she die: “Lay out my corpse dressed in white, with a golden crown on my head, and on it inscribe my Christian name. Mourning dress is to be worn for six months, and no longer: the shorter the better.” In the end, the empress was laid to rest with a gold crown on her head and clothed in a silver brocade dress. On 25 November, the coffin, richly decorated in gold fabric, was placed atop an elevated platform at the Grand Gallery’s chamber of mourning, designed and decorated by Antonio Rinaldi. According to Elisabeth Vigée Le Brun : “The empress’s body lay in state for six weeks in a large and magnificently decorated room in the castle, which was kept lit day and night. Catherine was stretched out on a ceremonial bed surrounded by the coats of arms of all the towns in Russia. Her face was left uncovered, and her fair hand rested on the bed. All the ladies, some of whom took turn to watch by the body, would go and kiss this hand, or at least appear to.” A description of the Empress’s funeral is written in Madame Vigée Le Brun’s memoirs. 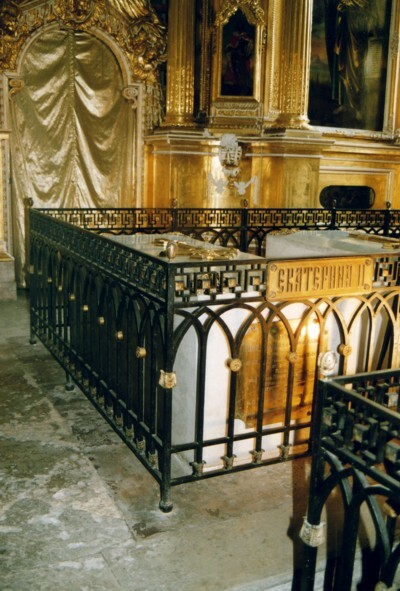 Catherine was buried at the Peter and Paul Cathedral in Saint Petersburg.